The waitress was really friendly and recommended lots of things on the menu including the Moroccan meatballs, sweet potato falafel and the original superfood salad. Although it was a busy time in the evening, there were a couple of tables free. I chose to sit in the middle part where they have the high chairs and this particular area separated the two halves of the seating area. It was very dimly lit with some tealight candles. There were random books on the shelves, which I’m not sure if they were there just for decoration. 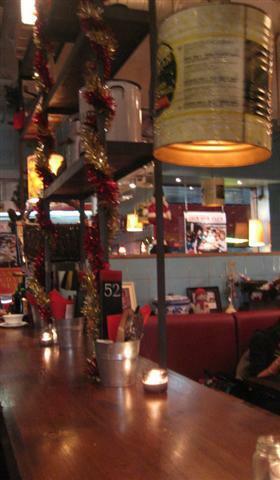 It felt quite cosy and was the perfect place to warm up on a cold rainy day together with some hearty food. The atmosphere was very relaxed and there was some good jazz like music playing in the background. I was more peckish than wanting a full blown meal so I was happy to see that Leon had a Kids menu. Some restaurants have age restrictions on their Kids menu but this was not the case with Leon. The Leon Gobi was really good and as it was from the Kids menu, it was served with rice and peas instead of with fresh slaw. The Gobi was like a curry and consisted of chunks of cauliflower and sweet potato. The taste of the coconut milk definitely came through in this dish with the flavours of the spices being milder. The nutty taste of the brown rice was great and it went well with the peas, edamame and green beans. Even though it was a smaller portion than a main meal, I found that it was quite filling. Leon is good if you have dietary restrictions. 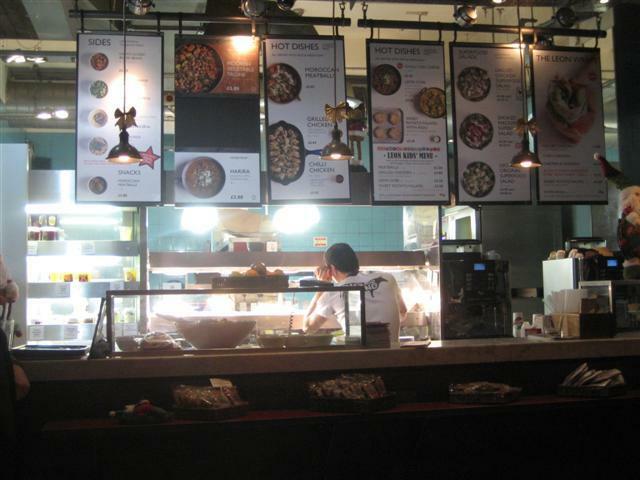 They specify on the menu which items are gluten free, wheat free, dairy free, low GI, vegetarian and low animal fat. The way that it works in Leon is partly self service. Quite a few eateries seem to adopt this idea. The waitress gave me the menu and she also gave me a small paper with the menu on it. She told me that I just filled out my table number and specified which items I wanted. I should then take this to the counter and hand it there. I sometimes prefer this method as then you are not waiting around for the attention of staff and usually it is a quicker way to get your food. This was the case with Leon as in the food was served pretty fast. Leon has a great range of salads, main dishes, wraps, snacks and desserts. They also do smoothies, juices, coffee and tea. The soups change daily and they also have a daily main special. In the time that I was there, the type of soup that they were serving, changed a couple of times. It’s nice that they have such a variety. 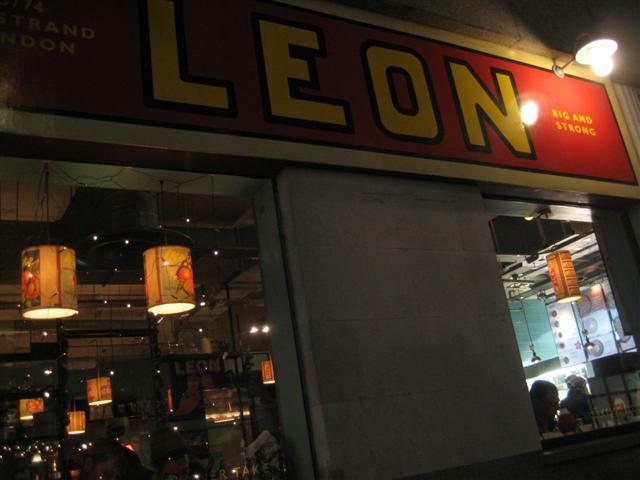 All the food seemed really fresh and healthy and you can tell that Leon takes pride in its meals.